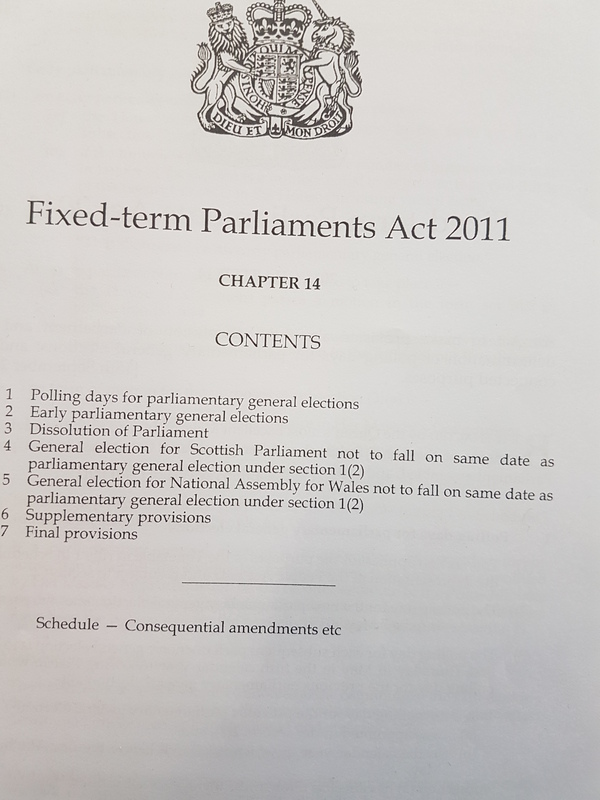 It seems some people still have not grasped the contents of the Fixed-term Parliaments 2011. This is not an unlikely scenario. It is an impossible one. Under the Fixed-term Parliaments Act, the monarch lost the power to dissolve Parliament. She retains no residual powers in relation to dissolution. UPDATE: Pleased to report that after I contacted the BBC, the article was amended to include reference to the Act. This entry was posted in Uncategorized and tagged BBC, Fixed-term Parliaments Act 2011, George Galloway. Bookmark the permalink. I’m afraid it’s not the only foolish thing he’s said – but then he all too often seems to make a habit of it. When I read the article yesterday, it already said, “However, under the Fixed-term Parliaments Act 2011, the monarch lost the power to dissolve Parliament. She retains no residual powers in relation to dissolution.” Did you contact the BBC with this correction? The language sounds too technical for the BBC to have come up with it, and you have written an almost identical sentence above, but not verbatim! Jonathan: I did indeed contact the BBC and those are my words. Credit to the BBC in that the changes were made remarkably quickly. The question of the Conservative party not wanting to make a move toward a change of leadership as it will create discontent within should a Leaver with a leave cabinet take over, is quite bizarre. And why I say that is, the peoples vote was to leave. Was chaos created in that party when a heavily ‘remain’ administration was put in place, against the wishes of the referendum decision? Why is this information not all over our media in the UK? Especially that supposedly unbiased truth machine, called the BBC? The EU has just signed a comprehensive free trade deal with Japan. Japan will remain an independent country, have its own laws and control its own budgets – it will not pay the EU a penny and not be subject to the European court. If the EU can sign such a deal with Japan, why not with us? Why cannot our incompetent Parliament get us a similar deal with the EU?